A keyword event can be loosely described as a spike in a particular keyword search. This is largely due to seasons, holidays, current events, or evolving trends. Predicting a keyword event means choosing the keyword before it becomes popular. It is very useful to get ahead of your competition and be the first in search engine rankings. By carefully selecting keywords before they become popular and organically integrating those keywords into your articles, you can rank higher because there is little or no competition. After the trend hits the mainstream, those keywords will become popular and your ranking will stay high because you’ve established yourself as the leading authority. Your article has been out there for weeks or months before your competitors even get started. Predicting keyword events is difficult. First, you have to follow all trends in your niche. Next, carefully select new keywords and keyword phrases based on trends in your niche. Last, but not the least, follow your audience’s interests. Do not relay on AdWords: If these keywords are being provided to you, they’re being provided to others as well. Try to build a historic analysis of particular keywords by using Google Trends to catch the popularity of a keyword over time. News is most important: Subscribe to a wide variety of news outlets. Follow your audience’s choices. Is your audience concerned about trends in other countries? What’s the latest international news in your segment? Do not hesitate to ask more questions. Listen to Your Audience: If your audience is worrying about something, if it wants something (e.g. answers, solutions, products, services, etc.) because you can be helpful and only you can answer their questions or resolve their issues. What is your audience asking? Pull keywords from their questions and provide answers. You will push your keyword rating up. Buzzwords: Buzzwords are words or phrases that tend to become trendy or fashionable in a specific segment. If you can spot buzzwords and use them before they’re hot (i.e. either amplify a buzzword you’ve seen or create a term that’s buzz-worthy), you’ll capitalize on the traffic wave as they start to become more widely used. Create a Trend: The trend begins when searches increase. Users may not know exactly what they’re looking for yet and benefit from short keywords. As the trend heats up, users are looking for more specific results, using longer search queries. It means long keywords will be more popular. Ensure you have done your research and your keyword predictions have potential to trend. 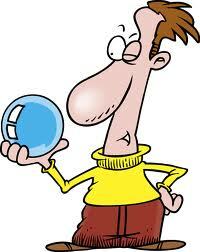 It may take trial and error to see which of your predictions hit or miss. Enrich your marketing with Glabex.com. Glabex creates natural advertising. With Glabex your business is always in trend!